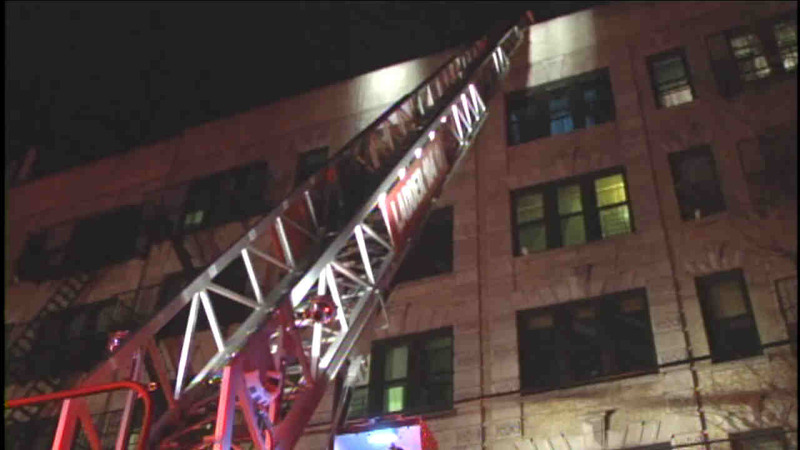 WILLIAMSBURG, Brooklyn (WABC) -- A second-alarm fire burned through an apartment building in Brooklyn overnight Tuesday critically injuring one woman. The blaze broke out on the first floor of a six-story apartment building on Metropolitan Avenue in Williamsburg around 10:45 p.m. Authorities say a 68-year-old woman was removed from the building in cardiac arrest and is listed in critical condition at Woodhull Hospital. Two residents were taken to Woodhull Hospital for smoke inhalation, while six others declined medical attention at the scene. One woman was rescued from a rear fire escape. A dog died in the fire. One resident apparently left the door open when evacuating, spreading smoke from that apartment throughout the building. The cause was ruled to be electrical and accidental.